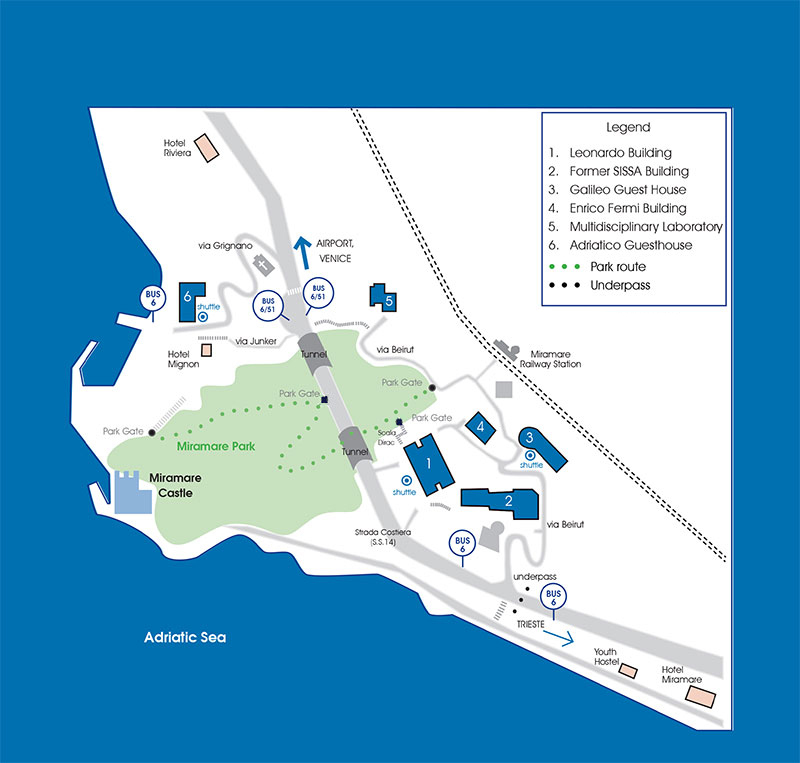 A map of the ICTP Campus is available here. For visit-related pre-arrival information please see here. Click here for transport options from several airports to ICTP. For other practical details, incl. information on ICTP services and offices, please read the General Information Sheet (see at foot). - Participants NOT staying in the ICTP Guest Houses are kindly requested to complete registration formalities on Monday, 29 April 2019 from 8:30 to 10:00 a.m. c/o the Secretariat (office no. 1, lower level 1, AGH. - Visits of participants accommodated at the ICTP Guest Houses are registered upon arrival at the reception desks, directly (i.e. no need to register again with the secretariat). Please note that official opening of the Conference is scheduled on Monday 29 April at 10:00 in the Kastler Lecture Hall -- see online programme, always kept updated. This conference will address recent theoretical and experimental developments in quantum measurement, underscoring common themes from the perspectives of foundations of quantum mechanics, quantum information processing, quantum optics, condensed matter physics and metrology. Rooted in the early history of quantum mechanics, the field of Quantum Measurement has evolved from a purely mathematical formulation to an active research topic, embedded in a broad spectrum of subfields, ranging from quantum optics to condensed matter physics. It involves a variety of techniques, including quantum limited, fast, non-invasive measurements. As a versatile tool in an advanced quantum toolbox, quantum measurements could be empowered for the design of novel protocols, including active and passive error correction codes, quantum feedback control, precision measurements, quantum state discrimination, quantum metrology, quantum simulations and more. In this context of diversified research, this meeting will bring together expert theorists and experimentalists, employing different facets of quantum measurement, with the goal of identifying common themes, and cross-fertilizing with new ideas. A Poster Session will also be organized, and interested candidates are invited to upload a short abstract of their proposed posters during the online application process (max. half page, in pdf format). Poster presentation is not mandatory, however participants are encouraged to present their results. Online application is no longer possible (deadline expired 10 February 2019).